Peter Wyatt is an independent technology consultant and developer/researcher who has been actively working on PDF technologies for more than 17 years. He represents Australia as both Head of Delegation and a Subject Matter Expert at all ISO committees that define PDF standards (ISO TC 171 and ISO TC 130). 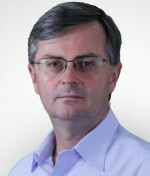 Peter is currently Project Co-Leader of ISO 32000 (the core PDF standard), a member of the Board of the PDF Association, and co-Chairs the PDF Association PDF TWG. With degrees in engineering and computer science, he has a background in digital documents and image file format research, product development and standardisation, and holds a number of granted patents. Peter previously led the research & development of print rendering and document technologies at Canon’s research laboratory in Sydney, Australia, supporting Canon’s global product range. Before becoming involved in PDF, Peter completed his MBA and worked in software R&D in Australia and the UK on successful technologies such as the Australian ‘bionic ear’ (Cochlear), power quality monitoring, and early GSM handsets.